New York City makes me break out of my comfort zone, even if that just means taking photos in the middle of the street or in places I generally avoid. Whenever I am in NYC, I just embrace everything and roll with it. And yes, I am STILL posting pics from my trip three weeks ago. Sorry not sorry! These ones were shot by photographer Daniel Glazer (there is another set shot by him coming very soon which I am especially excited about) whom I am so lucky to have connected with! Anyways, leather jacket has easily become a stable in my wardrobe, rain or shine. I particularly love this one from H&M. I paired it with a floral lattice bodysuit, white corduroy skirt, and leather Chelsea boots. 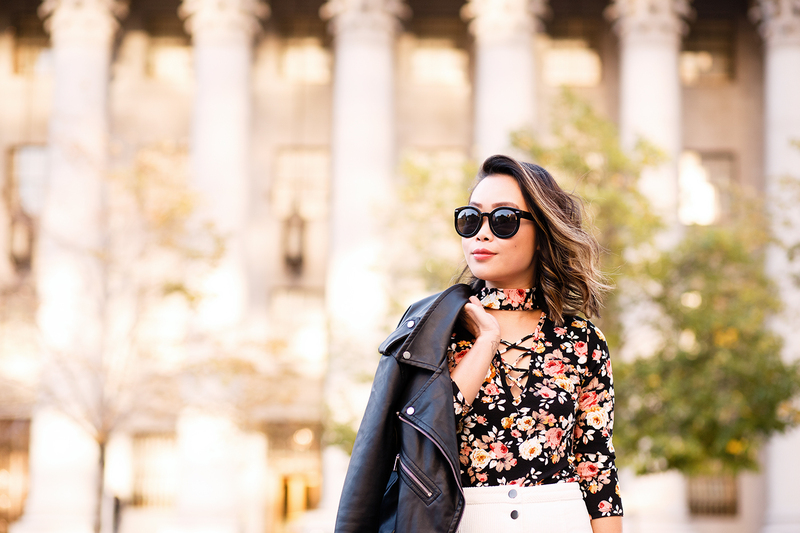 Keeping it edgy yet staying feminine, in this hustle and bustle of the city. Leather biker jacket c/o H&M. 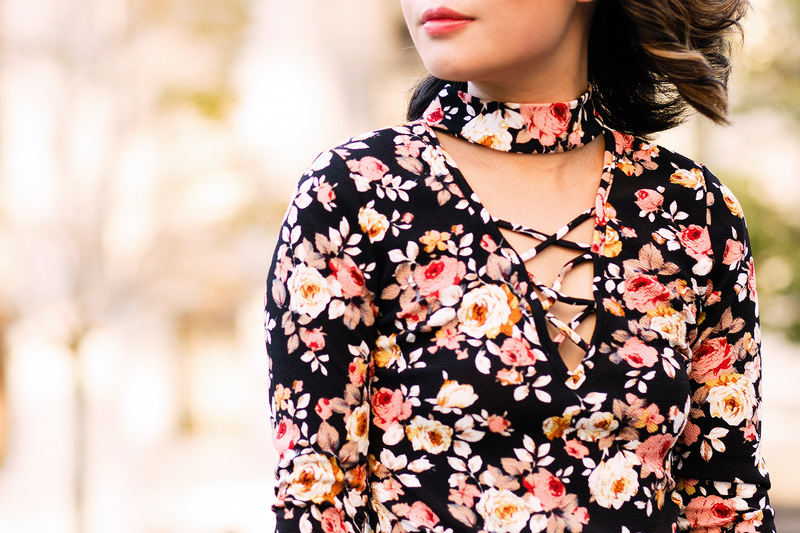 Floral lattice bodysuit c/o Charlotte Russe. White corduroy skirt (sold out) c/o Charlotte Russe.